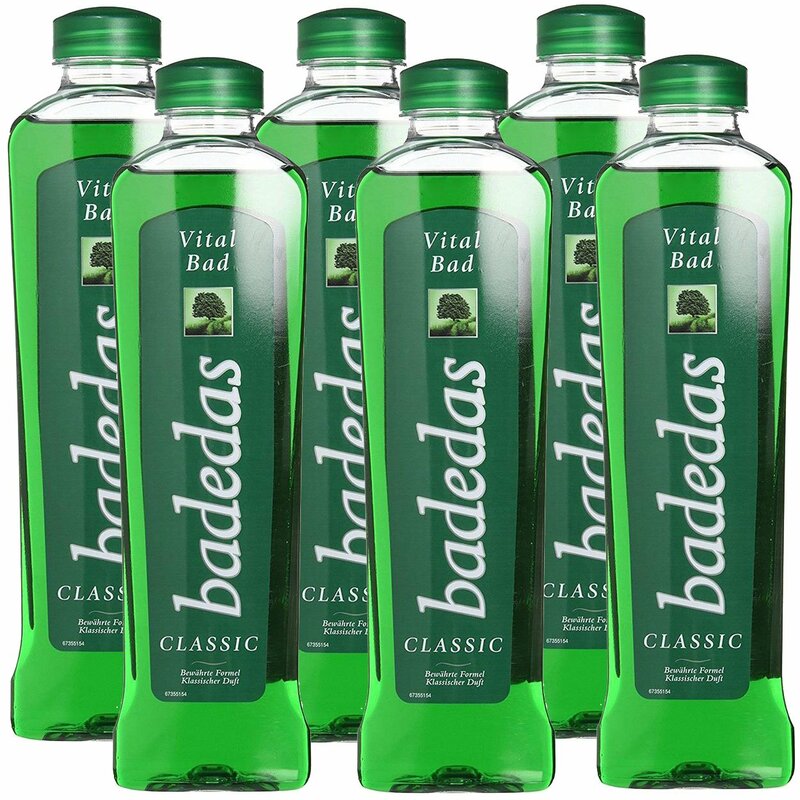 Badedas Bath Gel from Germany | P.C. Fallon Co. U.S.
Now available in the USA! Badedas Vital Bad (shower gel / bubble bath) has been loved by Europeans for years. The classic foaming formula can be used in the tub or as a shower gel. Either way, you'll experience a luxuriant lather rich in botanical extracts. The exhilarating evergreen scent hints at the unique, proprietary blend of beneficial botanicals in Badedas, including evergreen (picea mariana) notes and horse chestnut (aesculus hippocastanum) extract. Devoted fans love it for after-sports recovery and for daily bathing. Made in Germany. Badedas has won over legions of devoted fans worldwide with its concentrated formula, refreshing evergreen scent, and skin-pampering natural botanicals. Enriched with horse chestnut, cedar wood, and patchouli. Try this European favorite, now available in the USA!